When Is Ductless Air Conditioning the Right Choice? 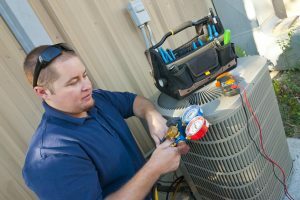 Of all the options we offer for air conditioning installation in Miami, ductless air conditioning tends to receive more raised eyebrows than others, and also a lot of interest. So many people spend their lives using inefficient, ineffective window and room air conditioners to stay cool on the hottest days. They’re often surprised to learn of another solution! Ductless air conditioning is nothing like those portable, temporary air conditioners. This is a fixture that will last in your home for years. Inside components are mounted up high on the wall, without being too intrusive, and you’re likely to notice energy savings. But when does ductless air conditioning make sense? 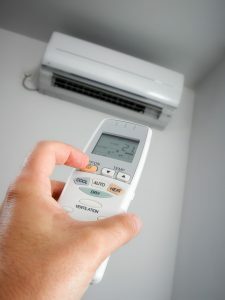 Posted in Air Conditioning | Comments Off on When Is Ductless Air Conditioning the Right Choice? Most people in Florida use air conditioning on a daily basis for the majority of the year. Because of this, they know the basics about how an air conditioner works. You likely know that your air conditioner runs on electricity and uses refrigerant (also known as Freon) as well. You know that it runs in cycles, shutting off once it has reached the range needed to meet thermostat settings. For the most part, you don’t need to know too much about an air conditioner. A technician will handle most of what you need. However, there is some information that may help you manage your air conditioner and take advantage of its settings. We’re here to offer you 4 pieces of information you may not have known already.